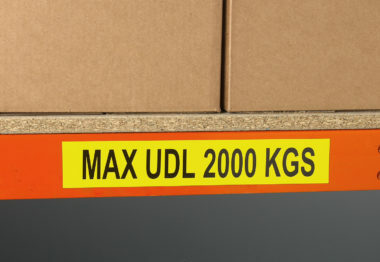 Beam or shelf labels to indicate max UDL, SWL or alternatively any message of your choice. 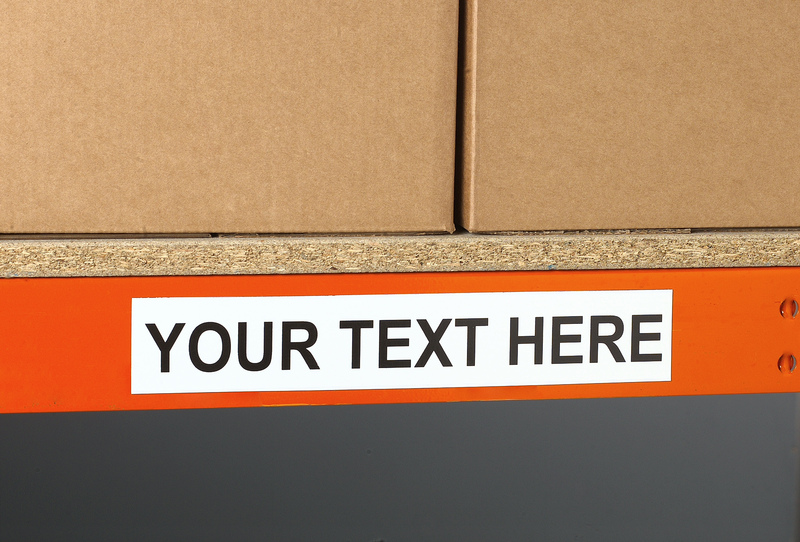 Magnetic or self-adhesive shelf labels. Office, Magnetic Strips & Access.. Choice of 4 standard sizes. 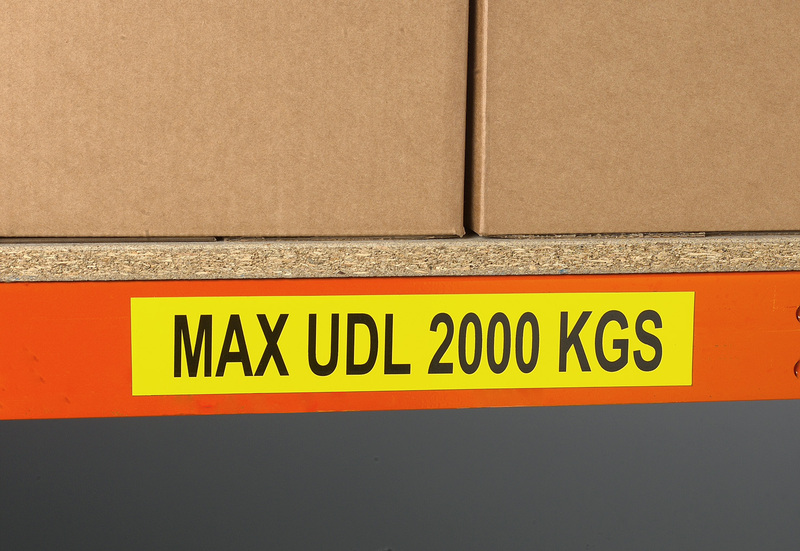 Our highly visible labels were orginally designed to highlight Max UDL or SWL on shelving and pallet racking beams, but these laels can be used virtually anywhere and on most surfaces. 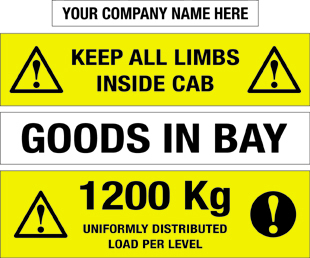 Simply select the size you require, confirm the text, pictograms, colour and quantity required. 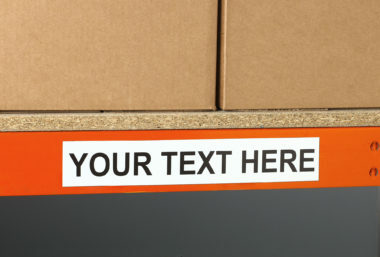 Four standard sizes are offered, however, other sizes are available.